Happy Friday, Friends! WAHOO for a three-day weekend! Everyone in my house is pumped about getting to sleep in one extra day. The fireplace guys demolished our current fire place two months ago! And...the only difference is a new firebox on the inside. Can you tell? Yeah, me neither. I kid. This is the first time we've seen FIRE in there. Big stuff, ladies! I think we're getting really close to the stone part but what do I know?? We decided last Friday to have Friday Family Fun Night and go bowling! My kids had never been and we had the best time. We were in our own little area, enjoyed dinner, and bowled our little hearts out. We laughed and laughed about Nixon beating me. I must add he used the rails! ha! Then when Ebby Lee realized Bowen was beating her we were all cracking up. Bowling night was a success! Nixon had his first Upward Basketball game this weekend! (I missed the memo about the black shirt under your jersey. Mom fail!) He just didn't know what to expect and was nervous, but their team did great! I am so excited to see what your fireplace looks like when it's done! But I'm sure you are too, lol! Have a great new week! Carter LOVES to go bowling! His form needs a little work ;), but he sure does have fun! Hart of Dixie looks so cute!! Also, I always forget about bowling!! What a fun time with your family!! Bowling is so fun ! Have a great weekend ! What is in Andrew's hand in the game night picture? Heads up was the highlight of my WEEK! Oh my goodness! I had the BEST TIME! You'd like it. Super chick flick! I forgot to write on the entertainment blog post, but you should try Heartland on Netflix. It is a good wholesome show and great to have on in the background even if the little ones are running around. I don't know why, but this made me laugh! My new favorite show is Younger (I think it's on TV Land). Not really kid appropriate but great for after the kids go to bed. 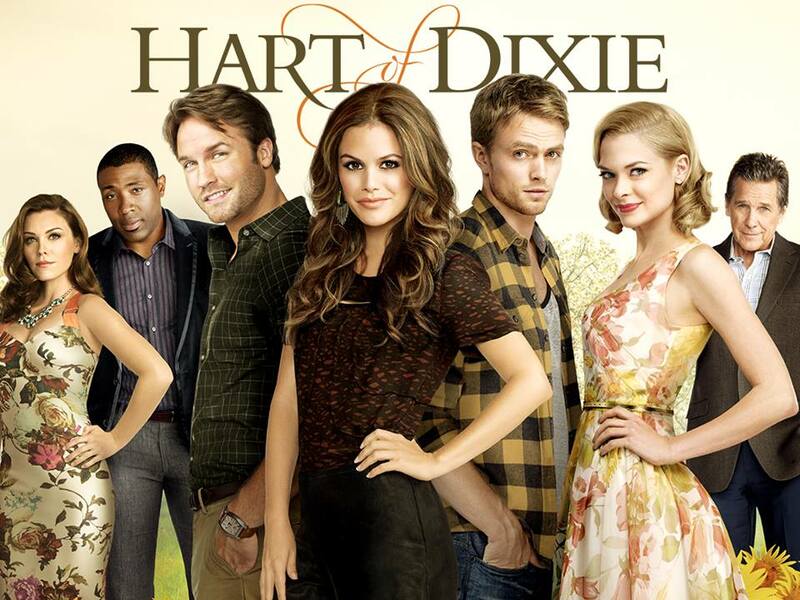 I also love Heart of Dixie for funny and Quantico for the intense/suspenseful. I started watching Hart of Dixie a few months ago. The first episode was so good; after that I kept waiting for something exciting to happen. Maybe I'll give it another try this weekend. My husband bought me the full series of The OC last month for my birthday... Best gift ever... I love love love me some Seth Cohen! We're having work done on our fireplace today! Kind of messy but will be totally worth it! Your bowling night looks so fun! LOVE Hart of Dixie!! I may need to go back and rewatch it again! I love listening to tv shows/movies while I work! I loved hart of Dixie. It was cute and easy to watch. They use the same set as Gilmore girls!! And I think the quirky small towns have the same feel. I LOVE Hart of Dixie! I was watching it at the same time as Friday Night Lights and was SO confused trying to remember that George Tucker wasn't the same as Jason Street. I kept mixing up their characters! I can't wait to see the fireplace all finished! Also you will love love Hart of Dixie! I have watch it all the way through twice now, it's such a fun show to have on in the background while you work. I can't wait to see what your finished fireplace is going to look like. We are in the process of building and the fireplace is a big item for me. I have this image in my head that i am hoping we can make happen. I just love a cozy fireplace! Thanks for the Hart of Dixie recommendation. I've been binge watching it today.